One of the most important things we all have to consider when in the workplace is safety. Not only is it an employers responsibility to ensure the workplace is safe and free of hazard, as an employee we must ensure we protect ourselves physically where possible. Depending on your line of work, many of the work environments nowadays, especially construction and industrial settings require safety footwear in the form of steel toed boots or shoes be worn to protect against potential hazards. At shoefinale.com we pride ourselves in being experts in research, analyzing and reviewing the top rated products on the market. 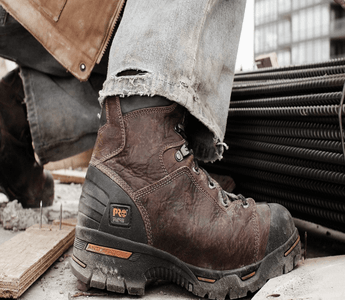 In the below article we bring you a selection of the best safety shoes and most comfortable steel toe boots for sale in 2019. What Are Steel Toe Shoes? Steel toe shoes are known by many different names, but collectively they are commonly known as safety shoes, and define footwear including low shoes, sneakers or boots with a reinforced metal cap in the toe box area which protects the foot from falling hazardous objects. The better quality products are usually combined with a metal midsole plate to protect against punctures, electric shock and chemical hazards coming in from below. A common assumption is that work boots are fitted with steel caps, but this isn’t always true. Yes, work boots can be reinforced with steel toes, but they can also be soft toe too. Therefore if you’re after a pair of work boots be sure to check the exact specification before parting with your money. Who Wears Steel Toe Shoes And Why? Many different professions require as part of their uniform that safety footwear be worn as mandatory. In the US this is usually required by standards set in by the United States Department of Labor Occupational Safety and Health Administration (OSHA). For example police officers and firemen are required to wear good steel toe boots due to the dangerous encounters they face on a daily basis. Another example is field based IT engineers who are required to wear steel toe work boots for health, safety and probably insurance purposes; dropping pc’s and other mobile kit can be perilous and is most likely quite common. As opposed to the traditional safety boots you’re likely familiar with, low-cut and comfortable steel toe shoes and sneakers may be worn by doctors and nurses, again due to hazardous encounters such as dangerous spillages or contact with medical equipment being moved around so frequently. In recent times, chef shoes have seen in an increase in steel toe caps due to injuries caused by falling objects in the kitchen. Profession aside, steel top caps can be found in many shoes based on hobby too, for example playing polo, in hiking boots, or in motorcycle riding boots too. Also known as safety shoes, steel toe caps can be found in many different styles and variations of footwear, including sneakers which are ideal when it comes to choosing the best shoes for standing all day, and clogs which tend to make good nursing shoes. Some are also quite formal looking where safety footwear is mandatory for those who cannot be dressed so casually in boots, sneakers or clogs. In terms of shape and size, there is an abundance of varying options available. The most common on the market are for either wide, standard or flat feet, and are often either 6″ high lace-up boots or traditionally low cut. The more niche examples such as orthopedic footwear like plantar fasciitis shoes or for those that have bunions do exists with steel toe caps but they are slightly harder to come across, though we will cover this further below. 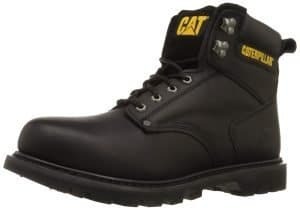 The Caterpillar Second Shift 6″ steel toe boots are another top player in the safety footwear market. Durability and strength are among the most commonly used words to describe them. In fact, they are extremely sturdy and long lasting. Made with full grain leather or nubuck uppers, in four different colors, these are the classic work boots by definition, with the 6’’ shaft providing maximum protection from top to bottom. The slip resistant manmade outsole will provide grip and sure footing on all surfaces at all times, while the reinforced toe caps will take care of the rest of the safety tasks this boot performs. Nylon mesh lining and the Climasphere sock liner will ensure that the comfort side is not sacrificed, keeping feet cool and dry in all environments, while the padded collar will just finish the job. These insulated steel toe work boots may not be your first choice if you work in warm surroundings, since it offers extra warmth due to the patented thermal technology. However if your workplace looks cold and dangerous, then these are definitely made for you. The Caterpillar Diagnostic men’s waterproof work boots have a 6’’ shaft with internal padding for added comfort and support. They come in only one color, which is dark beige and are uncompromisingly your best ally in all cold weather conditions. The water repellent grained leather will keep feet protected and dry, having met all the safety standards required. The SRX Caterpillar technology, with which the rubber outsole is made, meets the stability challenge. The cemented construction will also grant ease of movement and flexibility. Featuring a removable EVA foamed insole conceived with gel technology will add extra cushioning and comfort. The durability and quality of these Caterpillar Diagnostic waterproof work boots is unquestionable. These good looking Goodyear welted Chelsea boots might be confused with your everyday wear, since they are so stylish. However they offer all the advantages of the safety features required by international laws. 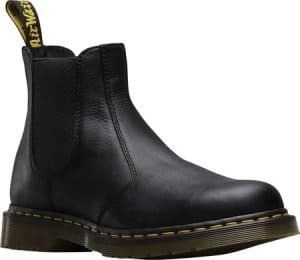 These Dr. Martens men’s steel toe boots are very comfortable and easy to wear, due to the elasticated sides, the reinforced pull on tab and the anti-static cushioned insole with moisture wicking lining. The air-cushioned heavy duty PVC outsoles feature oil and abrasion resistant qualities and with their patterned tread grip is also guaranteed. There’s much more than meets the eye to the construction of these boots. The upper and sole are stitched together like all welted constructions and then heat sealed for maximum protection. A full grain black leather used for the uppers with contrasting yellow stitching, provides water resistant qualities. It’s worth bearing in mind that due to their outstanding construction these boots can be re-soled at any time. If you hear the word Timberland, rugged outdoor boots immediately springs to mind. The Timberland PRO Pitboss 6″ steel toe work boots are no exception. One of the most durable and reliable men’s work boots on the market, top of the rank safety features make it a sure bet and you won’t be disappointed. Notwithstanding the already broad toe cap, it also comes in a wide fitting version, in the classic wheat nubuck color and another three shades. In addition, the open-cell polyurethane footbed with antimicrobial cover will continue the extraordinary safety combination of these comfortable steel toe boots. The manmade anti abrasion slip and puncture proof sole, together with the 1.5’’ heel give added protection to this state of the art boot. The Timberland PRO series stands for safety gear and is probably one of the best steel toe boots for even the most demanding jobs. No wonder they are called Pitboss. With their long experience and craftsmanship in the production of work boots Wolverine has created this Goodyear welted model in a striking design that comes in two colors being honey and brown. With its genuine full grain leather upper and steel toe cap this boot fully deserves the considerations of all those who are looking for professional gear. The 6’’ rubber wedge out sole is treated to withstand all the hazards of your workplace and provide maximum stability, meanwhile the welted construction will ensure durability and strength. 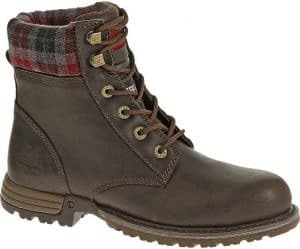 In spite of the heavy and classic construction, the Wolverine Moc Toe comes fully unlined and offers also a completely removable cushioned insole which makes it feel light and padded to wear making it one of the most comfortable steel toe boots on the market. The KEEN Utility Atlanta Cool steel toe work shoes are extremely light weight, coming in at just above 1 lb. The water resistant nubuck leather upper and mesh lining makes it highly breathable, meaning that feet stay cool and dry, also providing ease of movement. The down side of these steel toe work shoes is the lack of proper ankle support making it not ideal on rough and uneven terrains. Well balanced despite the reinforced toe, and comfortable to keep on your feet all day, thanks to the cushioned heel, it also has a removable EVA footbed which adds extra comfort. Its corrugated rubber sole offers excellent flexibility featuring non slip qualities in addition to being a very attractive work shoe, which comes in three colors and two fittings. Suitable for most foot shapes and sizes, it meets or exceeds ASTM F2412-11 and F2413-11 I/75 C/75 SD standards but doesn’t look like your ordinary safety shoes. New Balance is often associated with athletic footwear, so you shouldn’t be surprised by the appearance of these steel toe sneakers. Coming from their famous 620 training series, the New Balance 627 men’s work shoes offers safety without being bulky. These lace up safety sneakers offer either leather or suede upper with gusseted tongue stitched in place to prevent debris from entering. There are three color options in a sporty casual look. The toe cap is wide flanged thus providing protection and comfort. Although some reviews have flagged up that the rubber outsole may not be as durable as others, the slip resistant quality provides good grip and meets all the required standards when it comes to safety. The ABZORB® cushioning outsole, for dry and wet conditions, with its static dissipation feature, will give the impression of wearing sneakers. Meanwhile the Eva insole will provide maximum comfort and flexibility. The Timberland PRO Mudsill 40008 are your multipurpose oxford work shoes. They can also be worn for other heavy duty activities, thanks to the use of genuine waterproof top quality flexible leather, which ensures durability and comfort. This moreover guarantees lessened break-in time. The broad steel toe cap and the electrical hazard protection make this shoe a perfect all-rounder. Some users even recommend them for hiking, thanks to the slip, oil and abrasion resistant rubber outsole, the moulded EVA cushioned shock absorbent midsole and the ortholite polyurethane footbed, which also acts as an anti-microbial cover. Timberland has been a leader in producing outdoor footwear for many years, and with the PRO Mudsill they continue to hold high their reputation. The Caterpillar Brode men’s steel toe sneakers certainly fit the bill when it comes to living up to the reputation of their heavy duty premium footwear. Featuring Cat’s SRX extreme slip resistant cemented rubber outsole, you can rest assured you’ll be steady on your feet. The footbed with molded EVA sock liner offers great support and shock absorption. The low top design of these safety sneakers will allow freedom of movements, whilst guaranteeing extreme protection. The Brode is available in either suede or leather waterproof uppers coming in five different color options, in a standard or wide fit, satisfying both comfort and looks. The pull tab at the heel makes them easy to slip on, just like your leisure wear. Stylish and appealing like modern fashionable sneakers, the Caterpillar Brode exceeds the ASTM F2413-11 M/I/75 C/75 EH rating standards. Weighing just under 1lb these men’s Skechers Synergy-Flex Gripper are possibly as lightweight as you can get on the market when it comes to steel toe sneakers. The bright combo leather uppers, with reinforced stitching and overlay details give them the athletic look that may induce you to wear them in your leisure time and not just for work. The removable cushioned insole, a padded collar and tongue, and the shock absorbent flex sole will spare your feet from long tiring hours in the workplace, wherever that may be. The non-marking rubber outsole of these Skechers sneakers will give extra safety on wet and slippery surfaces, offering support and protection at all times and meeting with ASTM-approved safety standards. The best steel toe boots for women are tough yet extremely comfortable and designed for the utmost demanding environments. 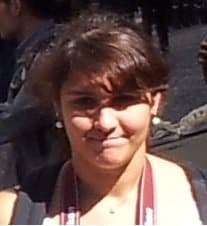 A typical example of this is the stylish leather Caterpillar Carlie. Seriously harsh and rugged conditions inside a factory are places where the durability and comfort of these can really be appreciated. The ankle supporting shaft measures approximately a generous 4.5” from the arch which is great for stability. The actual opening of the boot measures around 9”. Carlie comes in three different color blocks, giving it a rugged and powerful look. The rubber sole is anti-slip and comes with electrical hazard protection against open circuits up to a maximum of 600 volts in dry conditions. Lastly, the strength and ability of the steel toe caps are rated for compliance with ASTM F2413-11 I/75 C/75. The Caterpillar Kenzie women’s steel toe work boots are perfect for keeping your feet safe in the demanding conditions of any tough workplace whilst being stylish at the same time. You will probably feel more confident taking on anything with these wrapped around your feet thanks to their durable blend of materials and design. This full grain leather upper and anti-slip rubber outsole gives tremendous protection against abrasive or slippery conditions. Additionally, the Plaid flannel padded collar ensures comfort as well as eye candy. The shaft measures a lengthy 6.25” from the arch for tremendous safety in terms of support, stability and cover from exterior intrusions. For protection against falling objects the steel toe caps conform to ASTM F2413-11 M I/75 C/75 standards. Wearing the best steel toe boots is a must when working in hazardous conditions. You don’t want to compromise the safety of your feet at any point whether from exposure to falling objects, a slippery floor or electrical hazards. With the trademark PVC outsole, the Dr Martens Izzy are a prime example of how steel toe boots can look great, and be protective at the same time. The lovely full grain leather upper does well to protect against abrasions and ensures also that your feet remain well ventilated which is important when working in less than perfect conditions. A relatively low shaft measures around 3” from the arch, making this a somewhat mid ankle boot. As expected the steel toe caps are extremely strong, protecting against a minimum of 200j impact and 15kn compression force. Combine this with the slip resistant and anti-static build-up design, it becomes a highly recommended purchase in 2019. KEEN are well known for these types of durable hiking style work shoes. On the exterior, this particular Utility Flint features a soft rubber sole for supreme traction in all conditions, and an upper which is made of a Nubuck waterproof leather. There compression molded EVA midsole is typical high quality that you can expect from such a brand. As for the interior, a removable EVA insole makes custom orthotics or increasing longevity of the footbed a breeze. These are widely considered as one of the best steel toe shoes for women who require comfort, style, durability and safety. As expected these meet or exceed ASTM F2412-11 AND F2413-11 F I/75 C/75 EH. The Nautilus Safety footwear 1393 work shoes for women is crafted of leather / textile and comes with a durable slip and oil-resistant rubber sole which performs well in wet and oily surfaces of different types. The government compliant tough Nautilus has a steel toe rating of ASTM F2413-11 F/I/75 C/75 which meets or exceeds compression and impact standards for your added peace of mind. Featuring an anti-fatigue removable insole makes this an extremely comfortable pair of shoes for standing, and means you can swap in your own orthotics if required. In addition to that the EVA cushion midsole is gives additional support and greater stability when working on rough conditions. These women’s safety shoes are a good choice in a reasonable price bracket. The Reebok Work Leelap RB195 women’s steel toe sneakers for work are perfect for places that require reliable protection and extra care for the feet. Being perhaps the most stylish, you’d hardly believe that these are one of the best safety shoes based on their timeless jogger design. Externally, made of a breathable suede leather upper and dual density rubber outsole with excellent slip, oil, chemical, heat, abrasion and resistant to metal chips, it protects against hazards you face on a daily basis. A lightweight EVA midsole wedge exists to deliver cushioned support which is evident just by looking at these sneakers. Internally, it comes fitted with a removable, cushioned EVA footbed with sponge rubber heel wedge which provides plush comfort and supreme shock absorption. As with all of our reviews the steel toe caps meet ASTM F2413 safety standards, and overall are EH (electrical hazard) protection rated. The Skechers for work Synergy Sandlot are probably the best steel toe sneakers in this list of reviews. The lace-up front design compliments the nubuck leather and synthetic overlay upper for support and protection. The synthetic slip resistant soles are tested following the ASTM F11677-2005 Mark II testing standards and meet or exceed the compliance standards set for wet / oily conditions. Additionally, being Electrical Hazard (EH) footwear means they meet ASTM F2413-2011 EH requirements too, substantially protecting against accidental contact with electrically energized objects. Lastly, the Skechers for Work Synergy Sandlot’s steel toe caps are tested and certified to meet or exceed the ASTM F2413-2011 I/75 C/75 standards for impact and compression. Overall, for the money these are an extremely good buy and well worth every dollar. The Skechers for work Sure Track Vonn slip resistant work shoes for women have a number of features that makes it the perfect companion when you are working whether on the factory floor or out in all weather. It has an easy slip-on design, which means you don’t have to bend down in full fatigue outfit to tie your laces; simply take off and put on at the bat of an eye lid. The slip-resistant design of the synthetic outsole ensures that you don’t have to worry about the type of floor or fluids you come in contact with throughout the day; you always have a sure footing regardless of the surface you work on. Additionally, memory foam ensures excellent support for your feet. As expected, these steel toe work shoes meet or exceed ASTM requirements for electrical hazard, impact and compression. The Ariat, featuring Duratread ™ oil and slip-resisting outsole gives a top rated level of comfort and protection from anything and everything that your workplace can throw at you. The heel measures approximately 2” and the platform measures about 0.5”. The full grain leather upper is very comfortable even when you wear the clogs for a long time. In addition is the featured Advanced Torque technology (ATS ®) with composite forked shank and also the R Toe profile with these. These are ASTM F2413-11 F/1/75 C/75 EH (electrical hazard) rated. The Wolverine Bailey is a women’s steel toe slip-on made out of synthetic upper, with rubber sole and a wave mesh lining. The steel toe caps are rated for ASTM F2413-11 F I/75 C/75 EH which is almost standard in all of our reviews. The relatively low shaft measures approximately 1” from the arch but these aren’t exactly designed for ankle protection, and the platform measures 1”. Known as harnessing an opanka construction it comes with ethylene vinyl acetate (EVA) midsole and has a nylon shank with soft pillow cushion footbed for helping those long shift standing all day. Wolverine work shoes provide a tough yet comfortable wear for long durations and a supreme level of protection for your feet when you are working in demanding conditions. Buy only top quality branded shoes from trusted manufacturers. Although we like to not class ourselves as brand snobs, there really is logical thought to this. The big names like Timberland and Caterpillar have been specializing in this niche for decades, they have extra knowledge and budget to produce premium goods so you can certainly rely on their goods. Following on from the above, the old saying goes, you get what you pay for, and when it’s your safety at stake it’s worth paying the extra for something you can place your trust in. Don’t buy shoes which are too big or too small. In reality, if possible it’s best to buy half a size bigger than your actual size. However, half sizes aren’t always available if not, stick to your normal size as safety boots tend to run slightly bigger in general anyway. Generally, the higher the heel the better, especially if the environment they’ll be used in is rough, rugged or wet terrain. Seek a heel 1.5″ and above for best protection against tough and uneven surfaces. Similar to heel height is the requirements for a good sole to provide adequate traction in wet, slippery or oily conditions. Typical materials that provide good grip are rubber and manmade soles. Before you buy anything it’s a good idea to bring yourself up to speed with the characteristics and properties it contains so you have points to compare against. Below are some common characteristics you should consider when searching for a pair of the best steel toe boots or safety shoes in general. 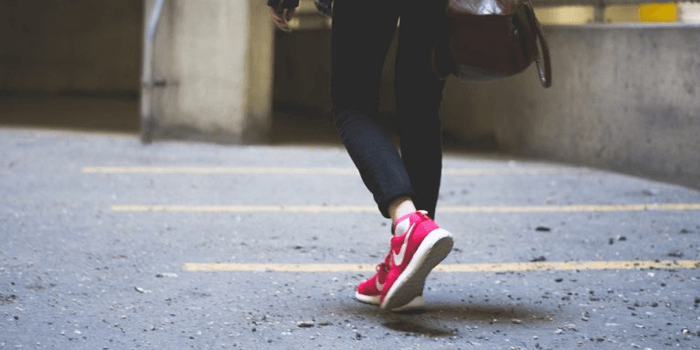 As you can imagine, working, walking, running or standing all day can be stressful to your feet, so it’s important that you utilize the most comfortable safety shoes within your budget. It’s a common assumption that because steel-toed boots are heavy duty it makes them uncomfortable. Yes, they are generally heavy duty, but it’s the inner which counts and is what addresses the misconception. Therefore ideally the best steel toe shoes will have some kind of suspension system to help reduce foot fatigue and support the arch. Additionally, they may come with removable orthotic insoles which can be replaced with your own custom upgrades, especially if you suffer from plantar fasciitis or wear particular shoes for flat feet. For obvious reasons which have already been discussed, a steel toe cap is paramount when it comes to buying the best safety shoes. In fact, safety footwear cannot be granted the name without some kind of reinforced toe cap, but in general, steel is widely accepted as the first choice over aluminum or plastic. For a step further a reinforced protective midsole can be sought for additional protection. The large majority of people who buy steel toe work boots may not be aware or perhaps have no requirement to comply with the varying certification standards that safety footwear can meet. There are however a large set of safety criteria which exists which are identified by symbols on the outside, to indicate the protection that the shoe offers. Additionally you’ll come across safety boots which meet standards set by institutes such as ANSI (American National Standards Institute) and ASTM (American Section of the International Association for Testing Materials) which check for compliance against numerous things like compression or electrical hazard safety rating, and is certainly reassuring to see their seal of approval when it’s time to buy. Perhaps without realizing, the weight of a shoe is always key to overall satisfaction. Good safety boots will almost always be lightweight. Heavy boots dragging your feet down are not only uncomfortable but will harm your feet, ankles, and knees in no time at all especially if used daily. Typically the best steel toe boots will be manufactured using a blend of various materials such as lightweight full-grain leather and polyurethane to obtain the finest possible results in terms of lightweight comfort and flexibility. Any kind of footwear should have good grip, without it you’re wide open to slips and trips which could cause serious injury or even fatality. Generally, the best safety boots will have deeply ridged grips for water and dirt dissipation when encountering rough and uneven terrain. Additionally, the outsole will be non-slip rubber or some other man-made material which has been refined for perfect traction in even the wettest and oily conditions. Everyone has different requirements and uses for their footwear, and due to frequent or infrequent usage, some will last longer than others. 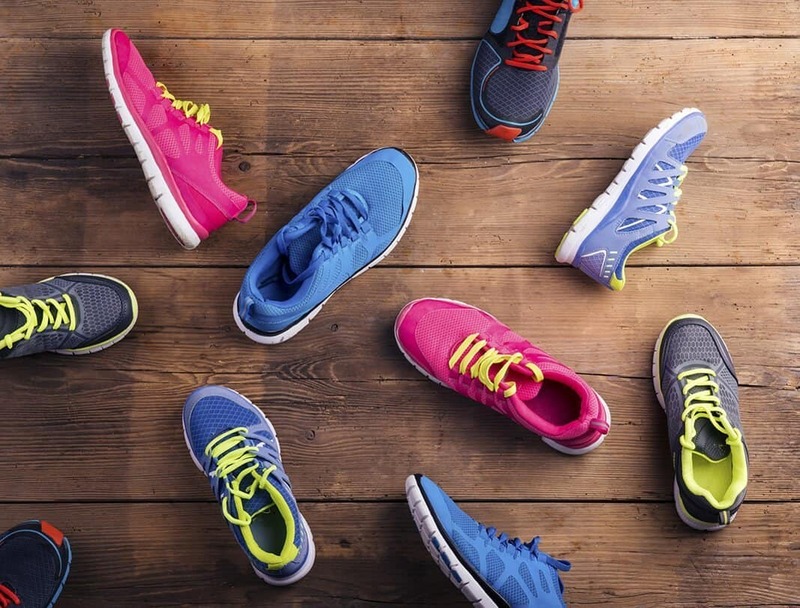 There is no real time-frame or lifespan in terms of years, but the general advice with all footwear is to replace after approximately 300 miles of walking or running due to the interior soon becoming unable to provide adequate padding and support. To address durability, most of the highest rated units are made of top quality leather which is not only light, but also waterproof and extremely durable.